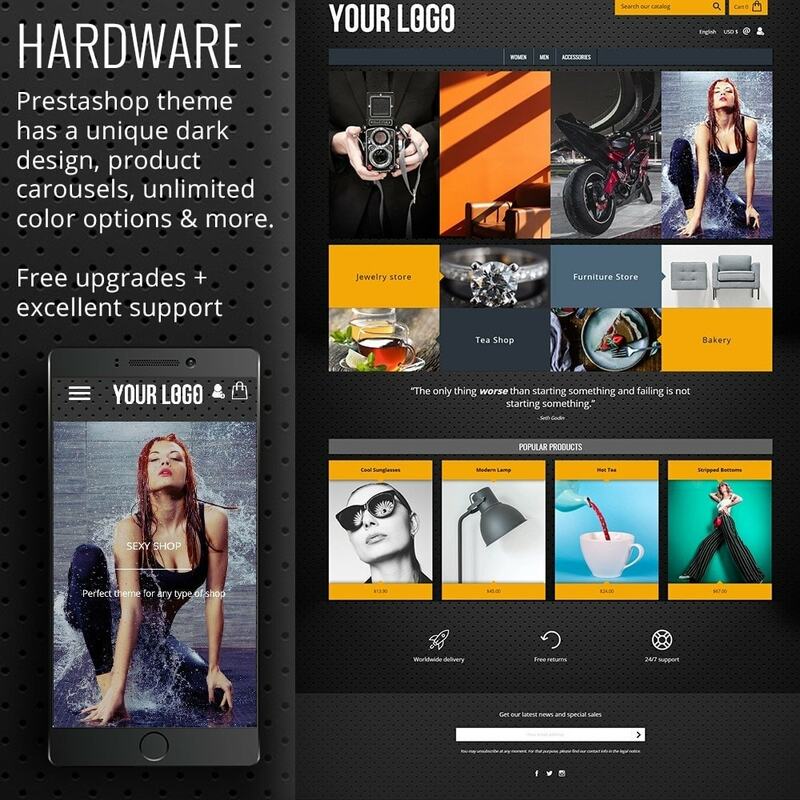 Hardware is a unique dark Prestashop theme designed to get attention. 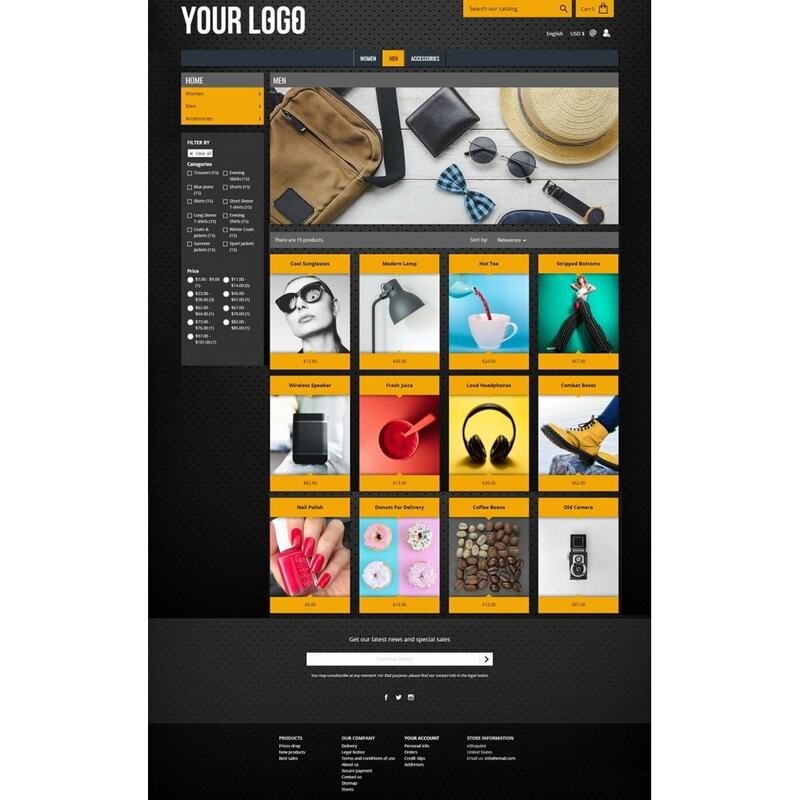 Hardware is perfect for any type of online store. 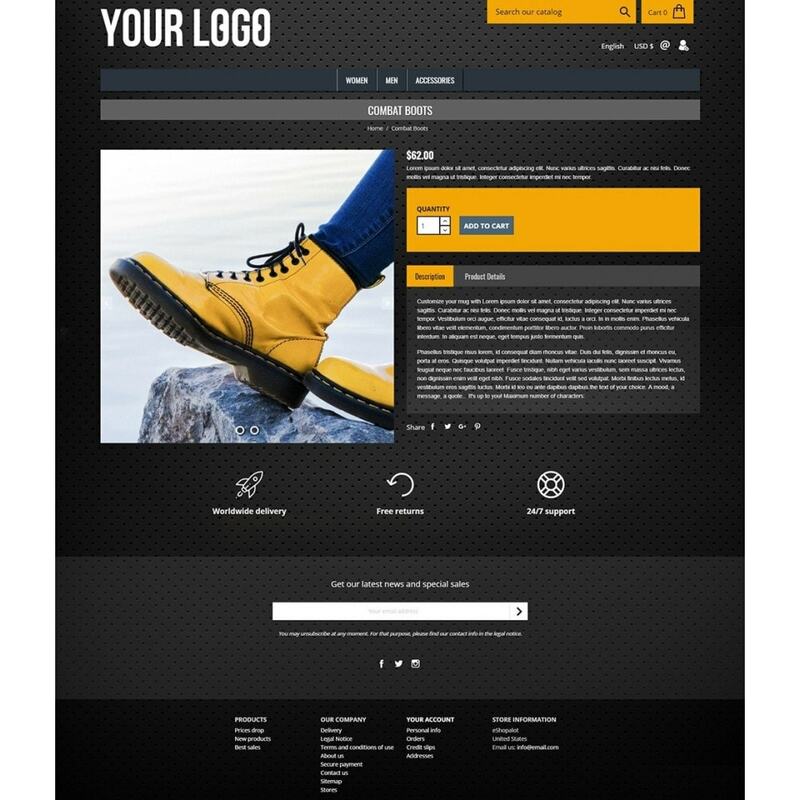 By changing the theme colors… you’ll have a different look and feel to the site. Comes with unlimited color options. 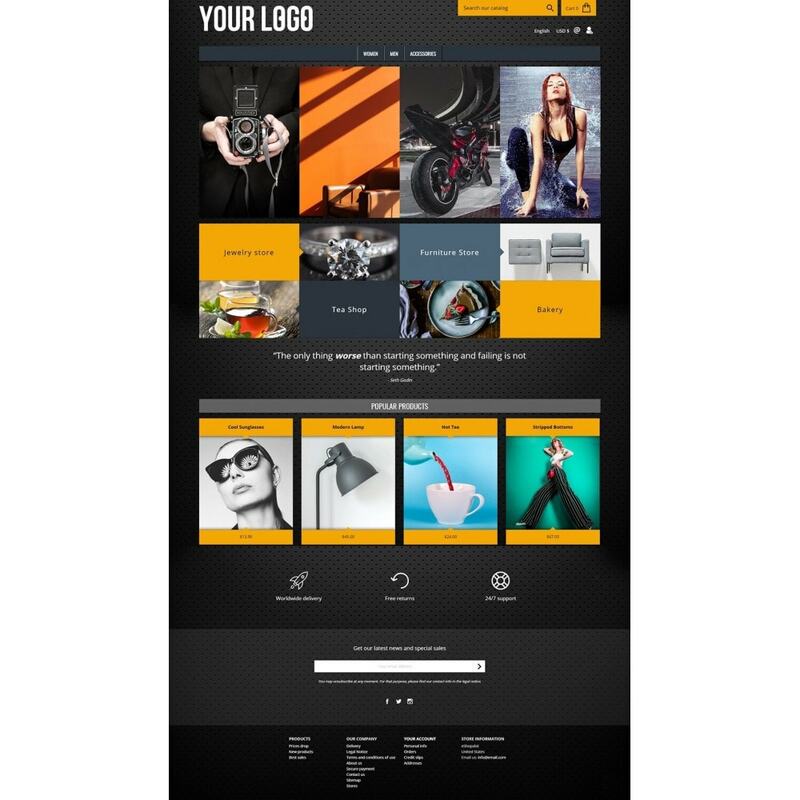 Common uses for this theme is: hardware, electronics, shoes, fashion, food, & jewelry. If you scroll down you will see other options for compressing your site. Very simple installation via PrestaShop admin, instructions are included. Don't forget to set a theme color. The directions are in english, but I speak spanish. If you need help in other languages, we can communicate using google translate. Please contact me for help. Please turn off Prestashop caching & mimify before installation.